Moonfall is designed to have an open-ended levels with various paths, which can be chosen by a player to continue his journey. Every level is divided into several rooms that frequently contain few exits leading to another rooms. 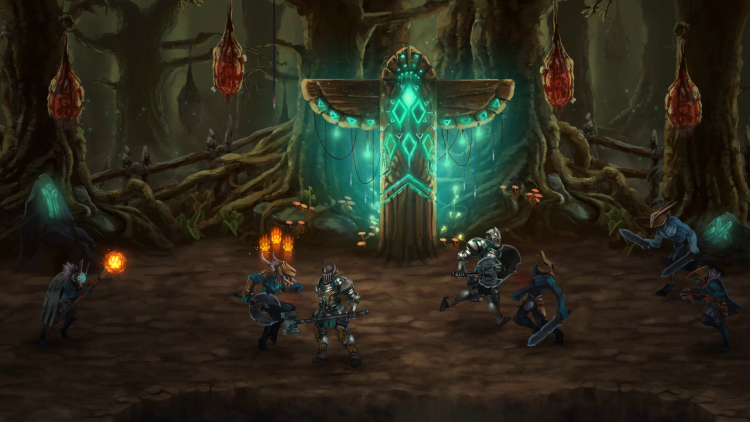 Moonfall is a game having some elements of the metroidvania genre giving players a feeling of freedom. Levels contain mainly enemies, whom players have to fight in order to proceed and various kinds of enviromental hazards that can hurt the player or bring on negative status for a certain period of time. Players often need to use a lever of a valve to unlock a specific object (for example a bridge or elevator) to be able to pass to the next floor or side of the abyss. Every level has its own main quest needed to complete in order to finish the level. On the other hand, during the play players can also found NPC characters asking for the help with a reward after a succesfull completion. Those are side missions that do not need to be fulfilled to proceed with the main story. After a main quest completed, the player can choose whether he will stay in the level and continue in exploring or return to the hub, where he can take another quests, buy new items, weapons or interact with its residents. The game includes a real time combat system. The enemies’ AI cooperate in a joint effort to complicate the player’s progress. Different combat situations arise with the choices of the player’s play. The game operates on a quasi-locking system. After entering a specific room and encountering the enemies, the player is unable to quit or leave the current room and is forced to fight. The game has a dynamic encounter system where enemy reinforcements can enter the combat at any time. There is an option to block attacks with the equipped weapon or various shields. Percentage of the blocked damage depends on the weapon/shield which the player is guarding with. By performing two uninterrupted hits on an enemy, the third one is a combo hit with a damage bonus. A player has various choices how to deal with battle clashes. Either he focuses on guarding and efforts to separate the enemies from themselves to kill them much easier one after another, or he uses skills able to hit several enemies at the same time. The suitable strategy is a key to a success, since many kinds of enemies are too quick to stand among them, which could lead to a quick death. The game’s RPG system focuses on increasing the character’s abilities through the ability points designated for the development of the talents and skills. It is based on the traditional style of filling an experience indicator after killing enemies and completing quests. The ability points can be assigned into three talents – strength, mind power and agility – while each of them affects different atributes of the game character. 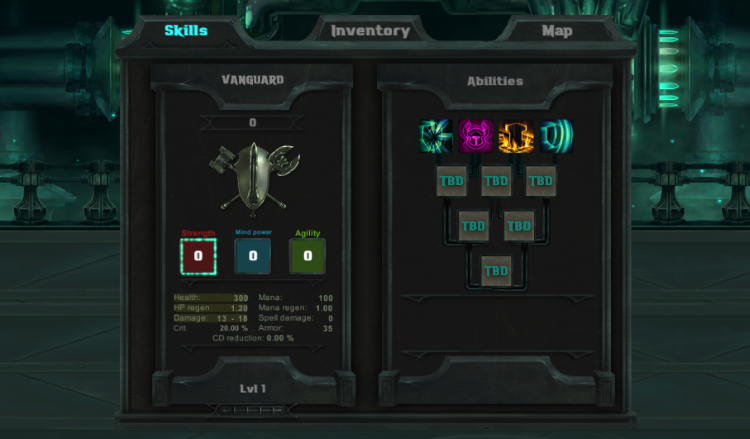 At the beginning of the game the player have to choose one of three classes, while each class has four different active abilities and six supporting abilities, that can be improved further. However, the player cannot unlock the supporting abilities freely, but only after he unlocked the previous abilities related to the specific one he wants to unlock at the moment. 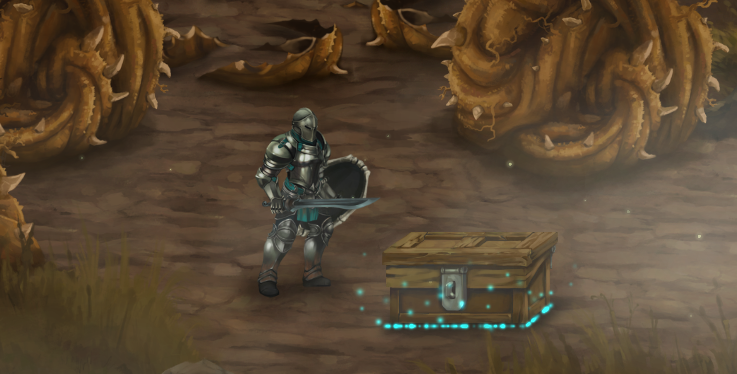 Loot can be found in the enviroment on the ground, in chests or may drop out of dead enemies. There are several kinds of loot, for example HP potions, mana potions, vials filled with lunarium used as the game’s currency or various kinds of weapons, armours and supporting accessories such as rings and so on. Overall, Moonfall provides more than 80 various items with different statistics. This feature gives players an immediate overview of his health, mana, skills, map and current quests. The HUD is designed the way so it does not prevent a player from a comfortable playing, but on the other hand it is not too small neither. On the top left corner there are indicators of health and mana, unlocked skills are located in the middle of the top side and on the top right corner there is a mini-map. Below the mini-map is located a short list of active quests. The user interface can completely be turned off, so players have a full screen without any distraction. Information windows, quest dialogues and various hints are displayed in the lower midle part of the screen. These kinds of windows are not present on the screen the whole time, but only during triggered events. There are also other windows, such as inventory, skill tree and map screens, which are designed to be hidden, but can be invoked by specific buttons.